The Government announced additional funding of £150 million per annum to improve provision of physical education (PE) and sport in primary schools. This funding is provided jointly by the Departments for education, Health and Culture, Media and Sport. It is ring-fenced and therefore can only be spent on provision of PE and sport in schools. Specifically the Ofsted guidance for Inspectors states that Inspectors should consider the impact of the new primary school sport funding on pupils’ lifestyles and physical wellbeing. How is our PE and Sports Funding Grant spent? Pupils to receive high quality PE and sports coaching observed by staff members. Increased opportunities for children to participate in a wide variety of sports training with other pupils in different school settings. Sports ambassadors appointed and trained as ‘coaches’ to lead clubs for younger pupils and organise charity afternoon. Sports leader to undertake inventory and inspection of existing equipment and compile “wish list” of desirable new equipment. Staff will have a better knowledge of the equipment that school already owns and be able to provide further opportunities to their pupils with the new equipment. All pupils will have the opportunity to develop their fitness level and take part in a healthy activity achievable out of school without any equipment of skill needed. Widen the range of sporting opportunities for pupils across the school. This includes the provision of a subsidised before school sports club 3 mornings per week - Active at Eight. All pupils will have opportunity to participate in a variety of sports activities throughout the year including multi-skills, tag rugby, cricket and gymnastics. A member of support staff is employed for additional hours to coordinate sports provision for offsite activities. This will include tag ruby tournament, cricket tournament and netball. Pupils will be provided with opportunities to compete competitively against other schools in a range of sports. Provide high quality coaching for pupils through partnership work with a local sports provider. All pupils will receive coaching sessions with external sports coaches throughout the school year. For example cricket and basketball. Federation Sports Summer 2017. Employ sports coaches for a wide range of sporting opportunities with Barton Stacey C of E Primary. All pupils will participate in range of sport activities alongside Barton Stacey pupils – providing competition and friendship opportunities. Provision of additional after school clubs in sport. This year this will include cricket and football. A member of school staff is also employed to run clubs or support the specialist external providers. This ensures pupils can access the sports field which requires increased adult: pupil ratios due to the location. Pupils will have opportunity to learn new skills through participation as well as improve health and well-being through physical activity. Increase school and individual pupil participation in competitions and festivals across the region to include transport and coaching support. The school will be represented at local and regional competitions. Pupils will have opportunity to play competitively. Purchase of additional PE resources including gymnastic benches, sports equipment for tennis, football and netball. Teachers will be able to deliver high quality lessons with appropriate resources. Children will be able to access learning with appropriate resources. Purchase of additional lunchtime equipment to promote active play and games. Lunchtime games leader employed 30 minutes per day to promote games and physical activity. Increased opportunities for active play for all children. Increased leadership responsibilities for Year 6 pupils to lead games and activities under guidance of lunchtime games leader. The school will conference pupils and staff members in the summer term 2017. The annual parental survey will request feedback about sports provision and impact. Sports Clubs provided after school in 2015 – 2016 which were subsidised by Sports Premium Grant. 2. Active at Eight before school club sports provision which was subsidised by Sports Premium Grant. This club was provided for children for 38 weeks of the year on 3 days of each week. The club was always full with a waiting list for most sessions. A member of staff is employed part time to provide an additional sports club each term, attend network meetings with local schools and organise sports matches against other schools. Their role has also involved organising within school sports events. 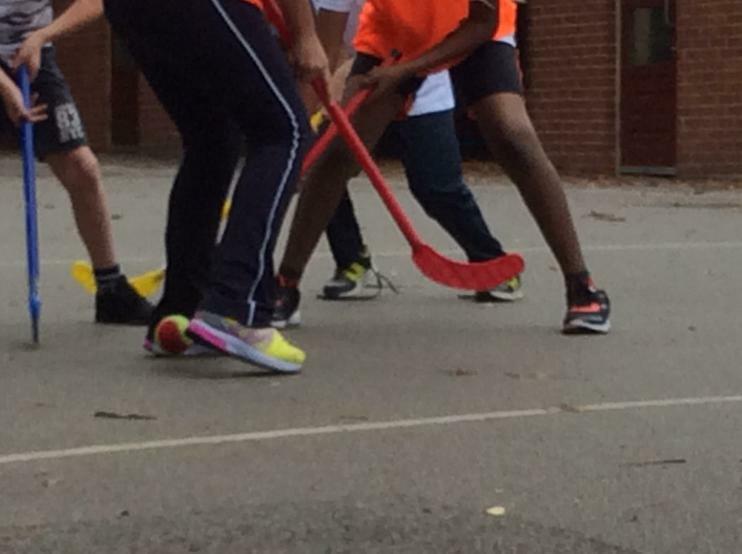 A wider range of sports has been provided throughout the school year. Sports teams have been able to attend matches supervised by a dedicated member of staff, allowing the school day to run smoothly. This has included tag rugby, cricket and netball. The school has been represented at local and county sports events, providing children with opportunity to experience competitive sports in a controlled environment. Subsidised transport to sports events, outdoor activities and competitions. participate in events and competitions. 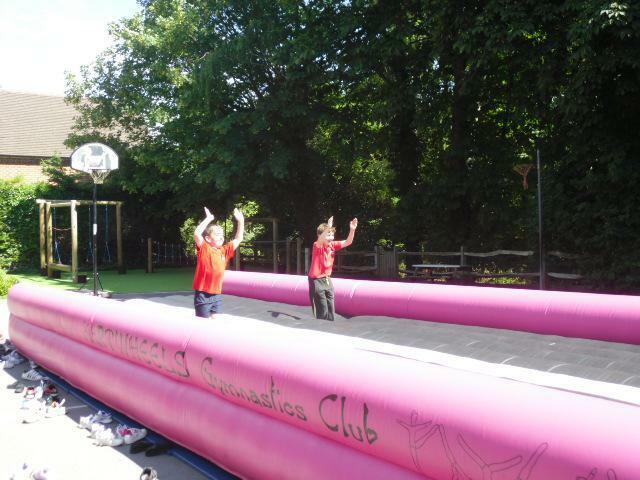 This has supported high quality provision of sport across the school, both during the day and before and after school.